BANGOR Maine – Tomorrow, several people in the area will celebrate St. Patrick’s Day. Some people will start at six in the morning drinking beverages, jamming to live music, and eating food. I asked a group of Husson students what St. Patrick’s day meant to them. “drinking” was the resounding answer. According to National Retail Federation, the holiday is most popular to those aged 18-24. 149 million U.S. adults are expected to spend around $40 per person, with 41% of those people purchasing beverages. 27% of people celebrating will attend a party at bar/restaurant. Local Irish pub Paddy Murphy’s located in Downtown Bangor will open its doors at 6 a.m.. Last year, Paddy Murphy’s went through 24 kegs of beer. The owner of Paddy Murphy’s John Dobbs married into an Irish family. 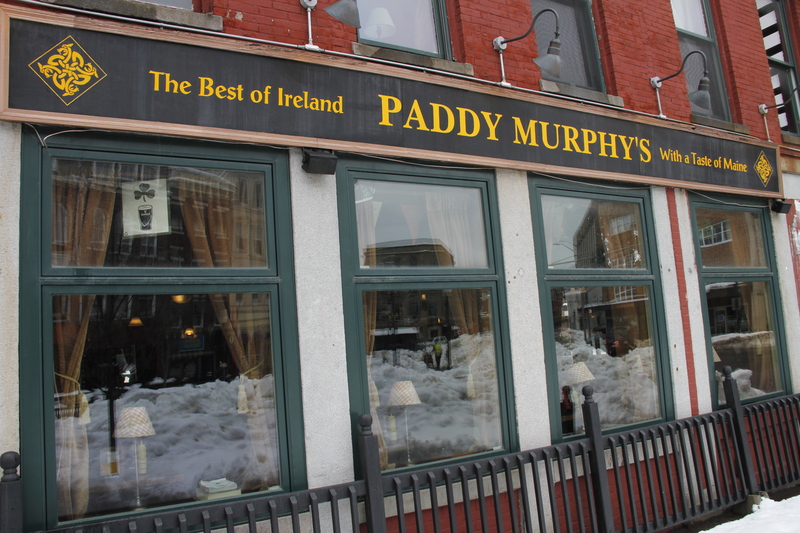 At Paddy Murphy’s, there will be live music all day starting when doors open at 6 a.m. Paddys will also be offering Scotch Eggs as they have in the past. If everyone has a place to go, more people will go out to eat said Dobbs. Other local Irish pub Geaghan’s Pub and Craft Brewery will open its doors nine with live music starting at 9 a.m. Geaghan’s is located next to Hollywood Slots and across from the Cross Insurance Center. Paddy Murphy’s does not offer cheap low end beer that those looking to get drunk usually buy said Dobbs.